We covered the cheapest smartphone available in the world. 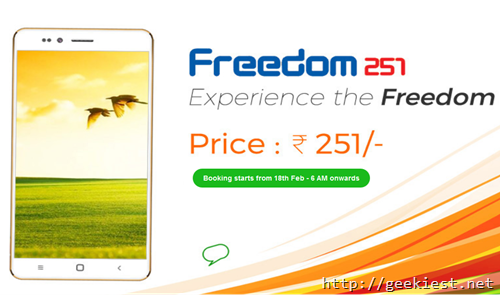 Freedom 251 released by the company Ringing bells which is a 4 inch Android smartphone for just Rs. 251. Now let us have a look on the current situation, is it a scam ? Yesterday the device was launched by Indian union minister (there were also claims that the Minister did not came to the launch event at Nehru Park), and it was expected that the company is getting government subsidy to sell the device for just INR 251, but there were also talks about why the Government choose a company like Ringing Bells. The registration for the phone started from today morning but we don’t believe that anyone was able to book one till this time. The amount you need to pay is Rs. 251 + Rs. 40 shipping charge and you may have to wait for another 4 months to get it delivered, that is ok as the quantity of order they will get will be so high. 2. Ringing Bells says they are not getting any subsidy from government to sell the product at this price, don’t you feel that it is impossible to sell a 4 inch smart phone with 8GB of ROM, 1GB of RAM, 1.3 Ghz quad core processor and 3MP camera for just INR 251. 3. People are still trying to book the device just because of the amount you are paying is just INR 291. 4. Company says they are importing parts and assembling it in India, we are wondering where is their company to make this device in millions in just 4 months time. 5. The device shown is having phone design and icons taken from the iPhone, won’t this bring copyright issues ? 6. The device look exactly like the Adcom Ikon 4, which is selling in India for INR 4000. We are not here to say that this is a Scam or not, but we need to say that there is something wrong in this. Now think before you purchase it. Update : there are people who are ordered Freedom251, who says they do not receive any mail from the company, only they got confirmation from the CCAvenue, the payment gateway. Neither Ringing Bells nor any of its affiliates, subsidiaries, directors, agents, employees or other representatives shall be liable for any direct, indirect, special, incidental, consequential, punitive, and/or exemplary damages including without limitation, loss of profits or revenues, loss of data, and/or loss of business, in connection with this Website or the use of or inability to use this Website or reliance on the contents contained herein, even if Ringing Bells is advised of the possibility of such damages. 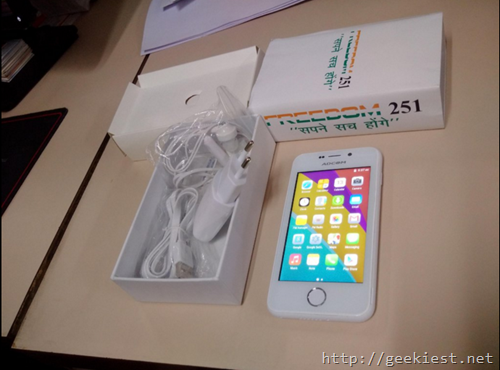 Freedom 251 smart phone, Scam or not ?